With honesty and integrity, Carson Realty proudly serves the Hilton Head, Bluffton and surrounding area real estate markets. As an island town, the area is best known for the high-quality lifestyle enjoyed by the local residents and the resort-like ambiance that pervades the community. Although the area has just shy of 40,000 permanent residents, in the summer time the population booms to well over 150,000 people. In fact, annual visitors to the area can be in excess of 2 million, which brings in a staggering $1.5 billion to the local economy. Many new residents to the area are surprised by the accessibility of Hilton Head real estate despite being situated on an island. The community is perfect for those who have a job in the bustling city of Savannah, Georgia, which is reachable in under an hour by car from one of the many Hilton Head homes for sale. And the best part of coming home to Hilton Head is the accessibility to nature as well as an abundance of activities including paddle boarding, kayaking, boating, fishing, tennis, and some of the best golf in South Carolina. Hilton Head Island is proud to have earned the Bicycle Friendly Community Gold Designation Logo, remaining at the forefront of a highly desirable bicycling community, and hosts nearly 60 miles of public pathways and nature trails on which pedestrians and cyclists can enjoy the diverse destinations and activities provided by this wonderful place to live, work, and play. Discover more about Hilton Head homes for sale here. Society of Bluffton Artists – A non-profit organization that was created in 1999. The May River Theater – A local theater organization that performs at the Ulmer Auditorium in downtown Bluffton. Mayfest – Also known as the Bluffton Village Festival, where local artists and musicians showcase their talents. Christmas Parade – Annual event the first Saturday in December. Historic Bluffton Arts and Seafood Festival – A Fall-time celebration that includes an art show, fresh local seafood and outdoor activities like kayaking and a 5K run. Learn more and search Bluffton real estate listings today. 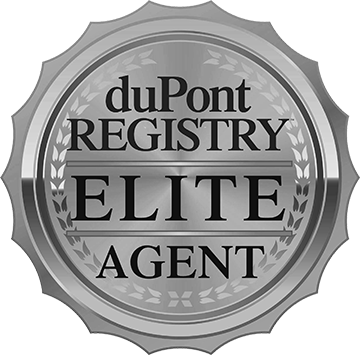 As one of the top performing brokerage firms in Southern Beaufort County, we have been lucky enough to enlist the talents of some of the best real estate experts in the area. Our team not only helps home buyers and seller in Southern Beaufort County succeed, our team provides them with personalized service, sound real estate advice, and accurate information in real-time. Unlike so many other real estate brokerages and real estate firms in Southern Beaufort County, we are proud to say that we put each and every one of our clients first, helping them have the confidence and knowledge to know that they are making the correct decision for their family. Our team believes in cultivating a long-term relationship with our clients and we dedicate ourselves to that ethos every day. Learn more about Carson Realty.